Posted on October 4th, 2018. Costa Rica is a vibrant country, laced with vivacious greenery, nature reserves, fine sandy beaches and luxurious Costa Rica Villas. If you’ve ever wondered what are the best things to do in Costa Rica then read on. I am going to give you the definitive guide to the Top 10 things to do in Costa Rica so grab your bags, we’re on our way …. Costa Rica (literally the rich coast), is a beautiful and peaceful country that sits comfortably between Nicaragua to the North and Panama to the South. It is the essence of what all Central American countries should be. It has history, splendid geographical features and a welcoming and educated population. On a brief overview of Costa Rica, the country disbanded its army a long time ago and has channelled funding into schools, colleges and ecological advancements. 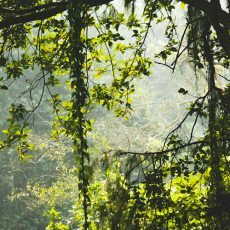 No surprise then to read that Costa Rica is on target to be a carbon neutral country by 2021. That’s quite something. Now that you’ve got your bearings, let’s start our tour! When a country has designated over 25% of its landmass to protected nature reserves and national parks you know you’re in for a treat. One of the key Costa Rica attractions is to get out and engage with the fabulous natural world of this remarkable country. Tropical rainforests that can have their own micro climates, natural lagoons, volcanic hills, stretches of unspoiled beaches, it is one long list of Mother Nature’s finest work. So whether you want to do a casual hike, a bit of mountain biking or enjoy a jeep ride up into the hills, you can get as close as you want to everything natural. Enjoy the perfect day out with your friends and family as you explore those hidden, off-the-beaten-track places. “Its defining tasting notes include a brown-sugary sweetness, citrusy notes and apricot-like fruity flavours”. 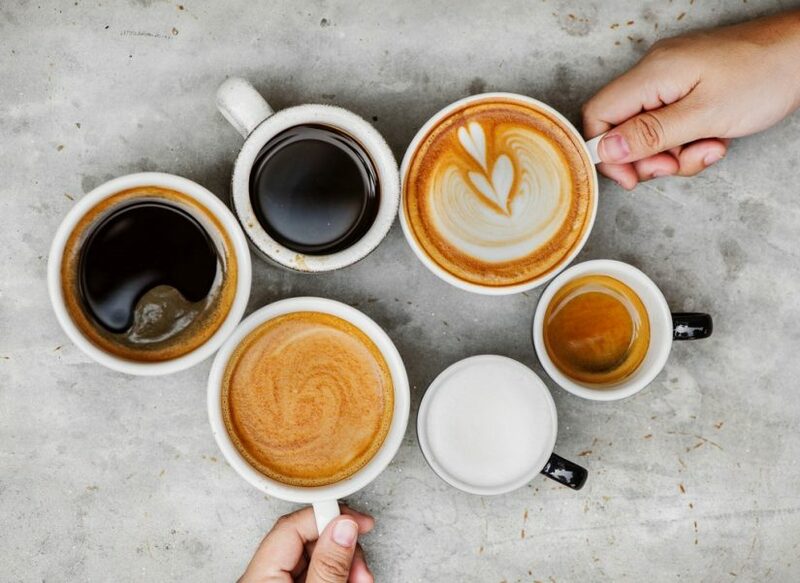 Yes, we’re talking coffee here, not wine! The freshness and originality of the local coffee is a world away from the rather jaded morning brew that we inhale each morning back home. To take the whole coffee experience to the next level of perfection, you will have to try a café chorreado. Essentially it is a traditional, Costa Rican way of brewing your own coffee using a chorreador bolsita. Forget the noisy machines or the clunky cafetieres, this pretty little timber stand with its bespoke reusable cotton filter will allow you to distill the perfect ratio of coffee/water. This is coffee nirvana. The magic of yoga – that wonderful union of mind and body – is definitely one of the best things to do in Costa Rica. All along the Nicoya Peninsula there are amazing yoga centres that cater for those looking for a Zen experience. The town of Nosara is an award winning destination that is known as a Wellness Centre not just in Costa Rica but globally. You can find any number of amazing yoga centres to visit to learn or enhance your yoga practices. This beautiful town is also a mecca for surfing thrill-seekers. 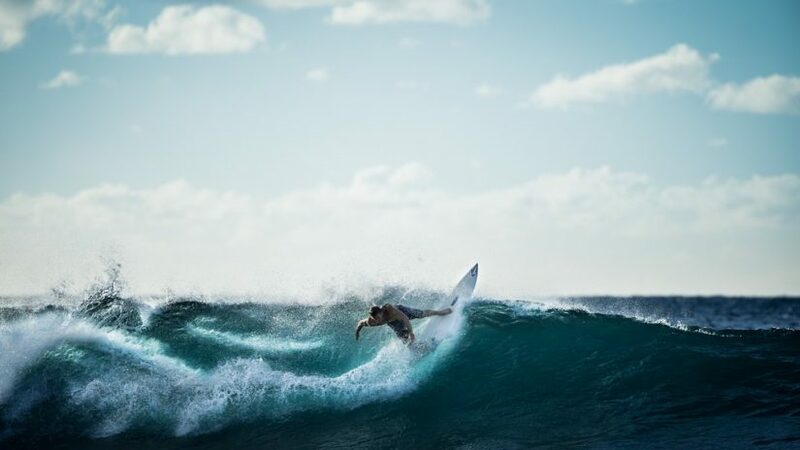 This tropical forested Pacific coastline has the perfect conditions for surfing all year round. Some of the yoga centres even offer a surfer specialist style of yoga to help strengthen your body before you tackle the waves along Playa Guiones. 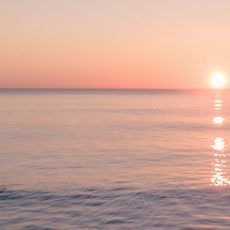 For the ultimate in calm and chaos, unite the yogi and surfer within you along this mesmerizing coast line. The Central American cowboy is as free as spirit as you might ever wish to find. With that same saddle-hardened appeal of their US counterparts, the Sabaneros live and work on some of the large cattle ranches within the Guanacaste region. The small towns along the Nicoya Peninsula host weekend fiestas during January and February where rodeos and bull riding competitions are held. There are some bull fighting displays but happily without the gruesome conclusion. The theme of these fiestas is fun and an opportunity for tourists to see the cowboys in full regalia dazzle with their roping and riding skills. 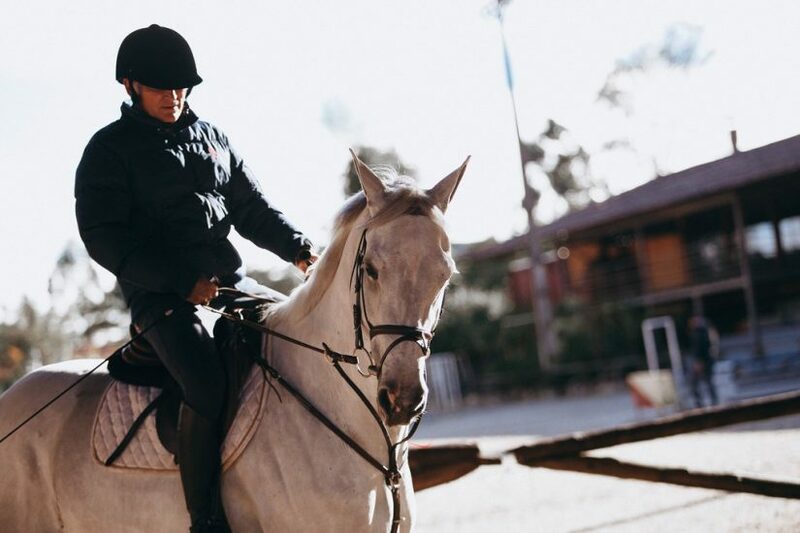 If you absolutely love everything equestrian, why not visit Costa Rica’s capital San Jose for the annual El Tope. This amazing horse parade can see up to 4,000 riders make a procession through the streets. There’s a lot of rum consumed, a lot of music, it’s the one time in your life you can wear cowboy boots and a cowboy hat and not look out of place. It’s an annual event, taking place on 26 December that is televised throughout Costa Rica so grab your ring-side seat for a day like no other. 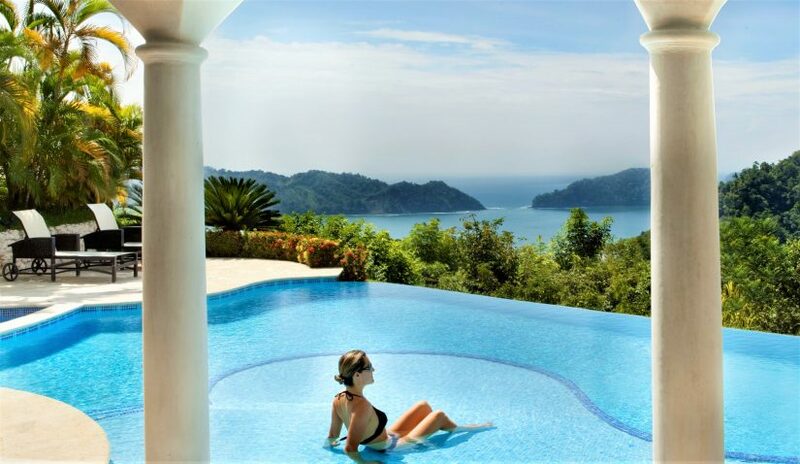 Why not consider booking a luxurious Villa property in Costa Rica for Christmas. Enjoy glorious weather, the grand excitement of El Tope and escape the chilly winds of North America. It is one of the Best things to do in Costa Rica. The Birds and the …. Birds! 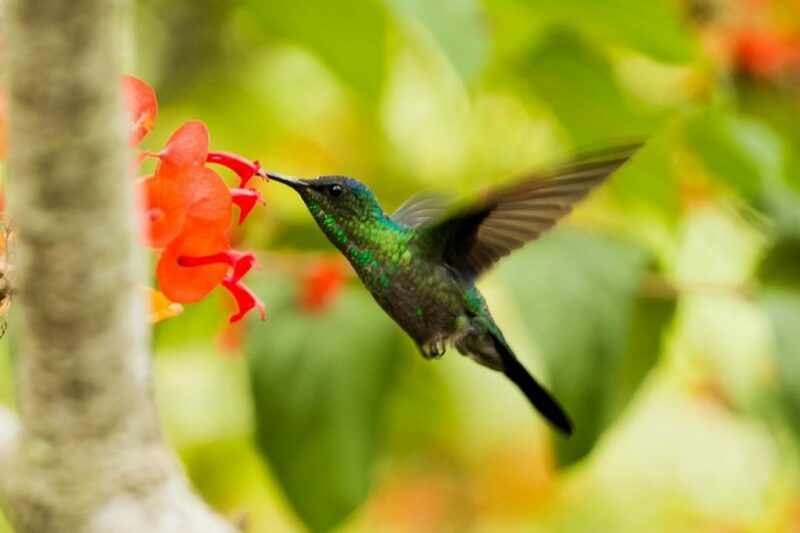 Did you know that Costa Rica has twice the number of bird species as Canada and USA combined? That’s an awful lot of feathers for one small country. Consequently, it is one of the prime destinations in the world to visit if you enjoy a bit of bird watching. 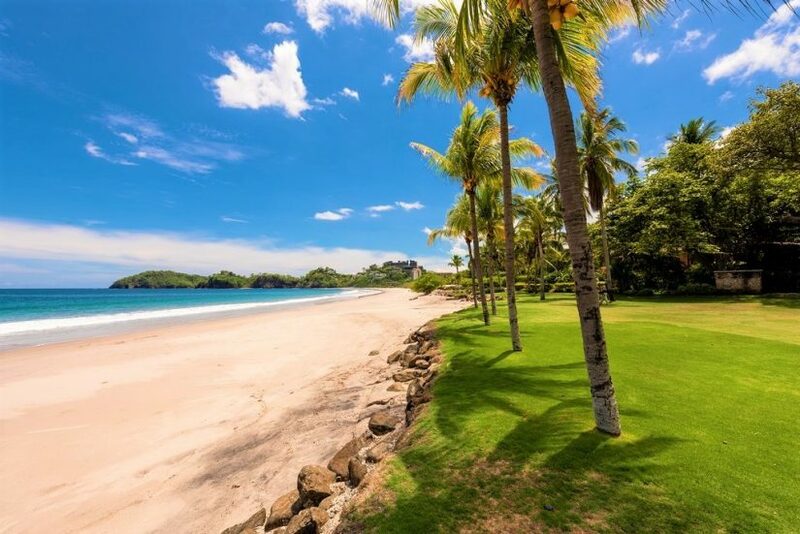 Costa Rica is blessed with having a coastline that embraces both the Pacific Ocean and Caribbean Sea. How wonderful is that? Each coast line offers beach experiences that can be both lively surf strips – Playa Guiones or the castaway paradise feel of Playa Arcos that’s tucked away in the Marina Ballena National Park both on the Pacific coast. Cahuita National Park on the Caribbean coast is the destination for beach enthusiasts. Isla de Cano a small untouched island 10 miles off the northern tip of the Osa Peninsula is a divers destination. Cocalito beach is reached by an adventurous trail that includes a suspension bridge. The chattering monkeys will laugh at you from the trees as you make your way to this pristine beach. For some turtle watching, visit Ostional beach where the Olive Ridley turtles come ashore monthly between August to November to nest. 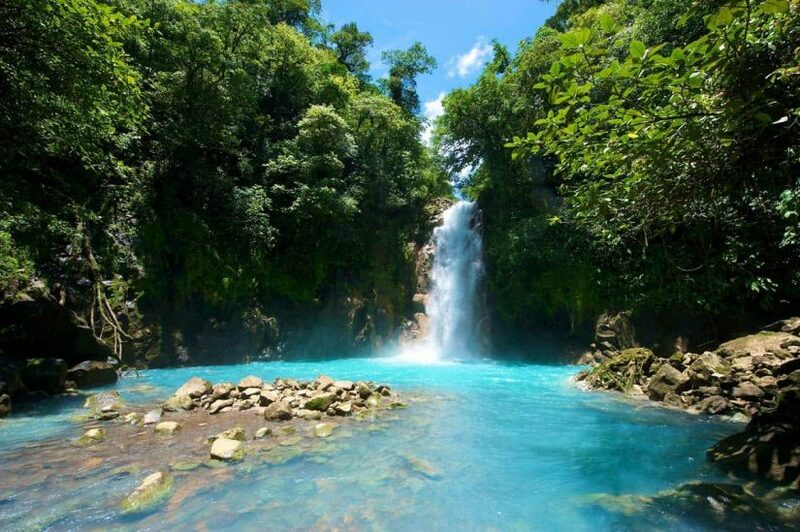 A natural marvel not to be missed and one of the Costa Rica tourist attractions that everyone talks about. I think food constitutes an activity worth a mention. And as one of the activities to do in Costa Rica it is noteworthy. 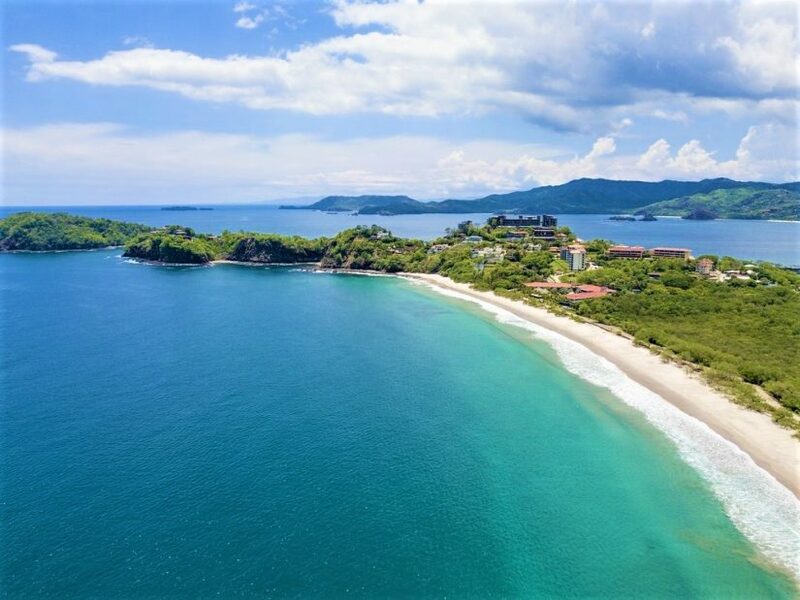 The east and west coasts of Costa Rica offer not just an entirely different vacation experience but a different climate and dining experience. The Pacific west coast seems to embrace a less spicy cuisine with Gallos Pintos the famous breakfast dish of rice and beans taking centre stage. 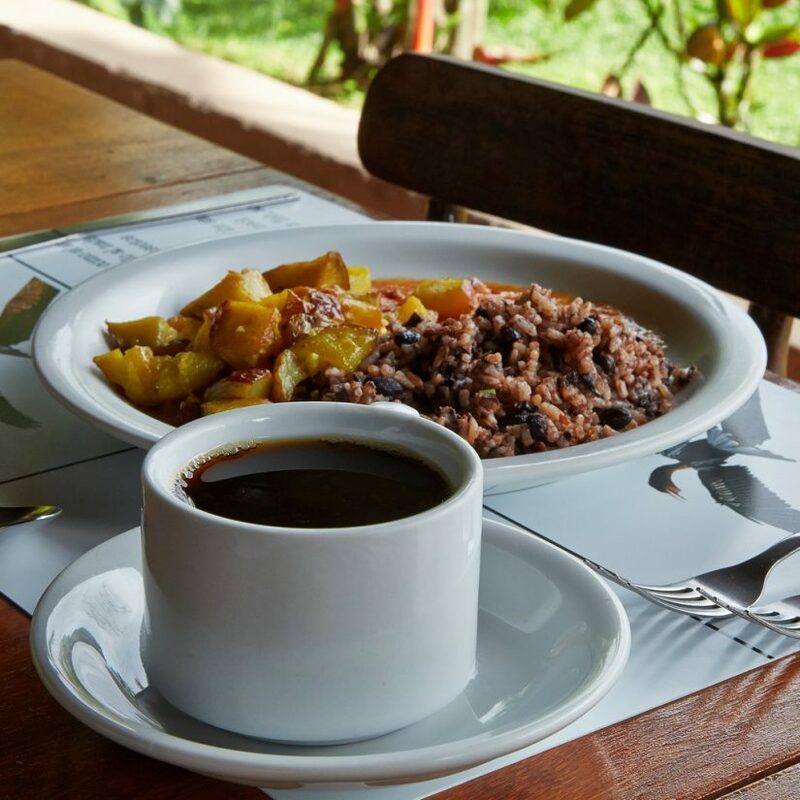 The Caribbean east coast offering of rice and beans is an altogether different experience with the rice cooked in coconut milk and infused with chillies. In fact, the most compelling difference between dishes on either coast is the spice levels. The east coast has borrowed a great deal of its cooking style from Jamaica. Jerked meats, spicy vegetables, the famous patis (meat pies or pockets) to be eaten on the go, all originate in other Caribbean nations but have become embedded in the kitchens of the east coast Costa Ricans. The west coast, is a more mellow taste sensation and although using very similar ingredients bring them to your table in a less fiery way. There are some really delicious treats that straddle both coasts and these are the Naturales or Refrescos. From stands dotted in Towns or along the beaches the freshest and most delicious fruit juices are prepared. 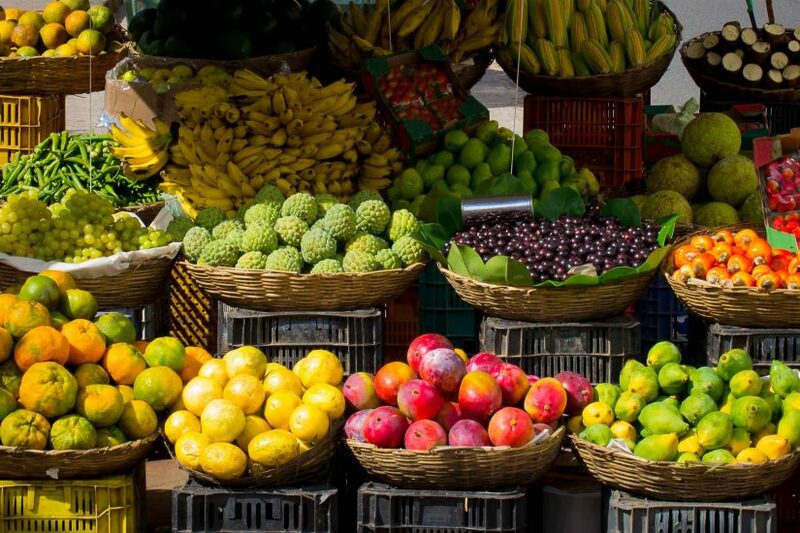 As Costa Rica is a country overflowing with luscious fruits it’s no surprise that fresh mango, pineapple, melon and banana juices can be squeezed in an instance. A delicious beverage called horchata made from rice, milk and cinnamon is a regular choice too. What better accompaniment for your day at the beach. So refreshing! It would be remiss of me not to mention the cocoa plantations of the southern Caribbean coast. Cocoa and all of its yummy offspring await at Caribeans Coffee and Chocolate in Puerto Viejo, Limon on Costa Rico’s east coast. The magical tastes of coffee and organic chocolate make this a tour and taste tour for everyone. You will have such a respect for your chocolatey treats when you get back home when you understand the labour extensive and time investment made by farmers to grow, harvest and transform the cocoa pods into that smooth, velvety sweetness that we are so love. As a rather exciting day out you and your group should visit one of the most important Costa Rica tourist attractions – Arenal Volcano. This active volcano sits in the north western region of Costa Rica. It is the photograph most likely to be taken by any eager visitor. 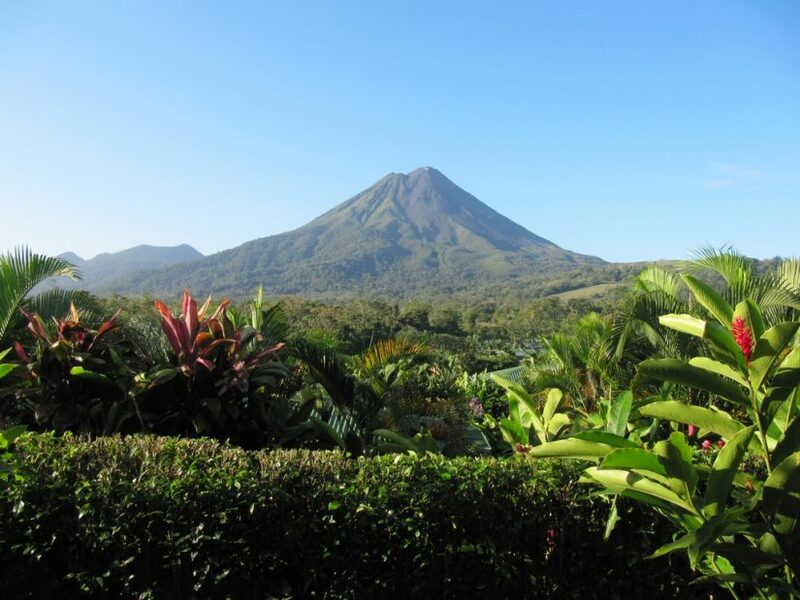 Arenal is viewed as a rather young volcano being under 8,000 years old. With specialised day trips from Guanacaste or San Jose, you can spend a day hiking along the foothills of the volcano, get to see lava (in absolute safety!) and enjoy a dip in the Tabacon Hot Springs. If you are that lively and active group, then one of the fun things to do in Costa Rica is to go on a brilliant eco tour that takes in some of the most beautiful rain forests in the world. 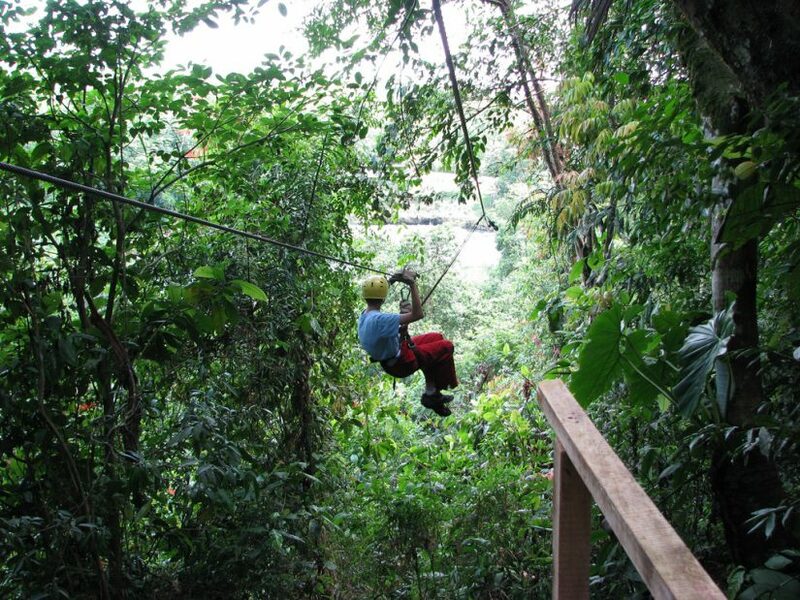 With so many designated and protected national parks, there are canopy tours and zip lining adventures where you can whizz over waterfalls and green lush forests all to the sound of chattering monkeys and birdsong. 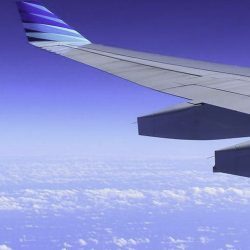 There are so many tours that will take you on foot or through the air into the most unspoiled places on the planet. As a significant amount of rain forest sweeps down to the very coasts, you can combine a wonderful hike with a fabulous swim. The very best of both worlds. 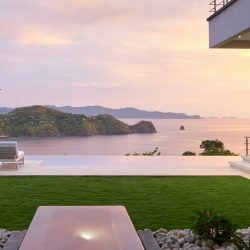 Call me a bit partisan but I cannot conclude the 10 best things to do in Costa Rica without mentioning the world-class service provided by Exceptional Villas. Five star, luxurious properties with swimming pools, hugging a beach or nestled in leafy palm fringed paradise, is what you can expect when you review our villas. With decades of experience in bringing guests to destinations all over the Caribbean, we know how to not only match you to the best accommodations but also how to unlock the Costa Rica activities that will transform your holiday into the trip of a lifetime. It’s no surprise that our clients return to us year after year as we listen to their requirements and surprise and delight them with expedition and adventures, designed with them in mind. We are the bespoke vacation solution and if you are travelling to Costa Rica for the first time, you will be glad you allowed us an opportunity to introduce you to a destination that effortlessly brings together the best of Central America and the Caribbean. With a climate that varies throughout its many regions, Costa Rica is a destination that can offer warm and sunny weather all year round. Whether you are chasing a holiday packed full with wild adventures, are keen on a bit of yoga soul searching or even something in between, Costa Rica is the destination for you. A warm welcome awaits in this corner of paradise.